On Friday, Sept. 1, an important conversation for today’s journalist took place at Emory University’s Schwartz Center for Performing Arts. In part of the AJC Decatur Book Festival, Kevin Riley, editor of the Atlanta Journal-Constitution, held the Journalism in Our Current Environment discussion among himself and three influential journalists. 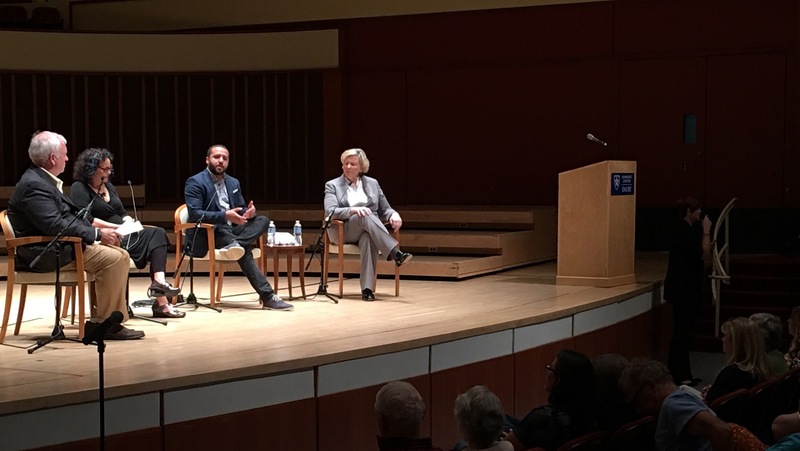 The panel brought forward answers to the essence of journalism and its place in America’s society through analyzing the shifts in the relationships between media production and its consumption. 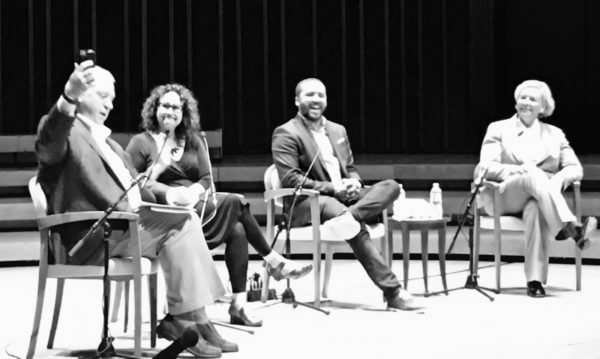 Riley was joined on stage by National Public Radio host Brooke Gladstone, Carolyn Ryan, a senior politics editor with The New York Times, and Wesley Lowery, a Pulitzer Prize-winning reporter from The Washington Post. Current events were the forefront of the discussion as Riley asked Lowery to describe his experience last week in Texas. Lowery saw firsthand how the Houston community dealt with being underwater and how the media’s performance affects the way that people’s lives have been changed. Lowery said that his capturing of those scenes for the public’s eye led to a powerful intimacy in the traffic and response from readers to Hurricane Harvey’s victims. Journalism has been an ever-increasing and ever-changing industry since the Founding Fathers implementation of the First Amendment. It was meant to be somewhat of a facet of American society, but not many amounted its power to its current abilities until recently. Emphasizing the shifts in American culture involving politics, violence, and the media, the panelists voiced their desires on how much they “just want to get it right” while writing about these events, saying that an obligation of the people is to tell the media when they don’t. The media has a responsibility engraved in its foundation: to serve the public. The outstanding effects of the news has been known to translate into future generations. 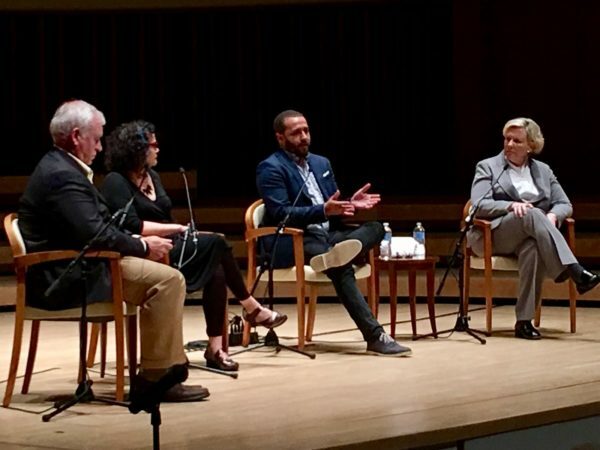 In the times of 24-hour news cycles, the speakers said that social media platforms which have hosted fake news influence society’s perceptions of media. “You can make the media better by how you consume it,” Gladstone said. The panelists agreed that the continuation into the digital age for journalism will aim to serve an ever-growing online audience with new and innovative approaches to journalism with the goal of righteously serving the public.